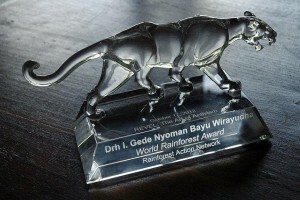 Founder and CEO of FNPF Dr Gede Nyoman Bayu Wirayudha has received the 2012 Rainforest Award in San Francisco for his “lifelong commitment to deep activism, species and forest conservation as well as groundbreaking community development projects“. 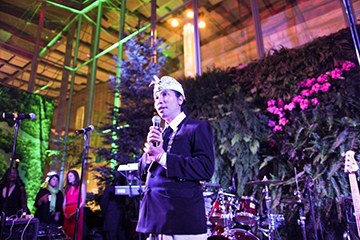 Dr Bayu Wirayudha, our CEO and Founder, receives the Rainforest Award in the US. 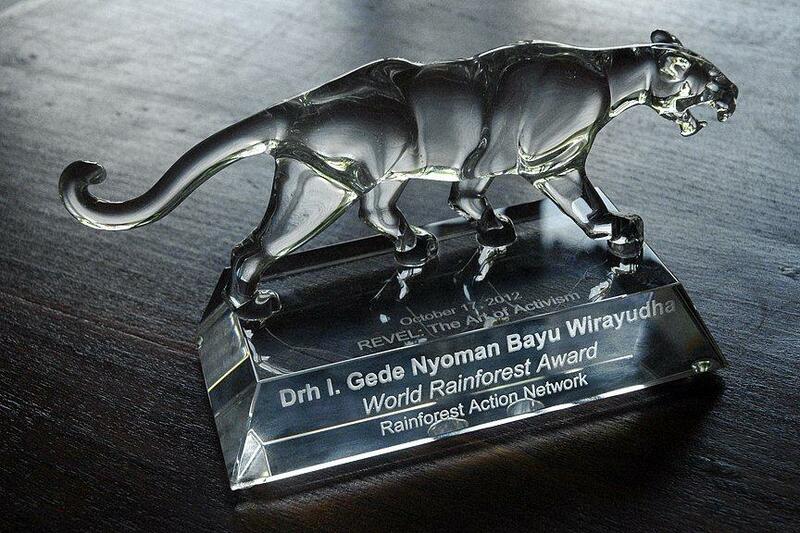 The award was given by the international conservation organisation “Rainforest Action Network” (RAN). It was presented at RAN’s annual gala awards ceremony, REVEL: The Art of Activism, on October 17, 2012. As an honoree, Bayu joined a rich history of previous awardees that includes Robert F. Kennedy, Jr., Maria Gunnoe, Vandana Shiva, Indigenous activists from around the world and many more. Each of these luminaries, have been leaders in protecting the worlds’ remaining rainforests, breaking North America’s addiction to fossil fuels, stemming the climate crisis and safeguarding human rights. Bayu accepted the award with thanks to his team at FNPF for their dedication, commitment and hard work, most especially Basuki Budi Santoso, FNPF’s manager in Kalimantan.